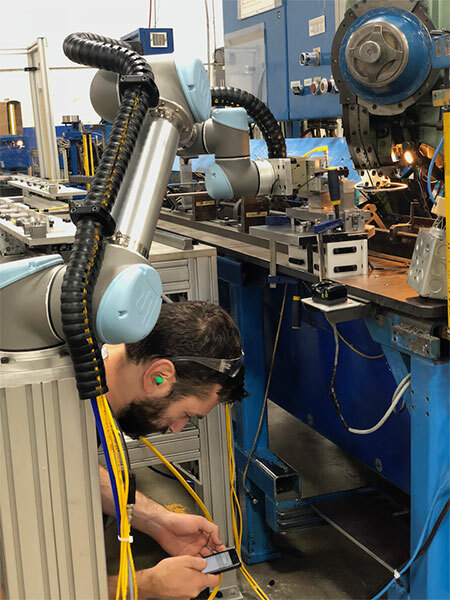 By now, the concept of collaborative robots that can easily, flexibly, and safely work side-by-side with human workers is well-understood among many manufacturers. But what about the cobots that are implemented in after-hours shifts to keep production humming even when employees aren’t working? Or when the robot is integrated directly with other machines or equipment while human workers are focused on tasks elsewhere in the plant? When there are no humans nearby, are cobots still collaborative? Absolutely. With built-in Industrial Internet of Things (IIoT) capabilities, UR robots keep on collaborating—even in situations with remote human workers. IIoT solutions from the UR+ showroom of plug & play products for UR cobots include the Insights software from Robotiq and the ARCS M2M remote access solution from Airgate provided by Secomea. Watch them in action in this quick video. 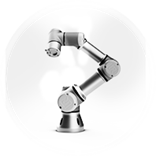 Insights is a software designed to help you integrate your robot faster and maximize production. It sends you a text message when the robots require your attention, and provides real-time data to monitor, troubleshoot and improve your production. With Insights, you can now get access and fully control the robot remotely. Use it to get support from your favorite robot experts, wherever they are. UR+ partner Secomea provides the ARCS M2M remote access solution for machine builders and factories. With ARCS, you can avoid costly downtime, quickly identify robot malfunctions or out-of-stock situations, and improve maintenance and repair operations. Operators get intuitive, secure, on-demand access and management of the robot from any device along with integrated SMS alarm and notification management. Through Airgate’s ARCS solution remote access, provided by Secomea, users gain secure access and control of their UR cobots via a secure VNC client. Hirebotics is essentially a temp agency for manufacturers, but instead of human workers, the company sends in UR collaborative robots to solve manufacturing challenges. 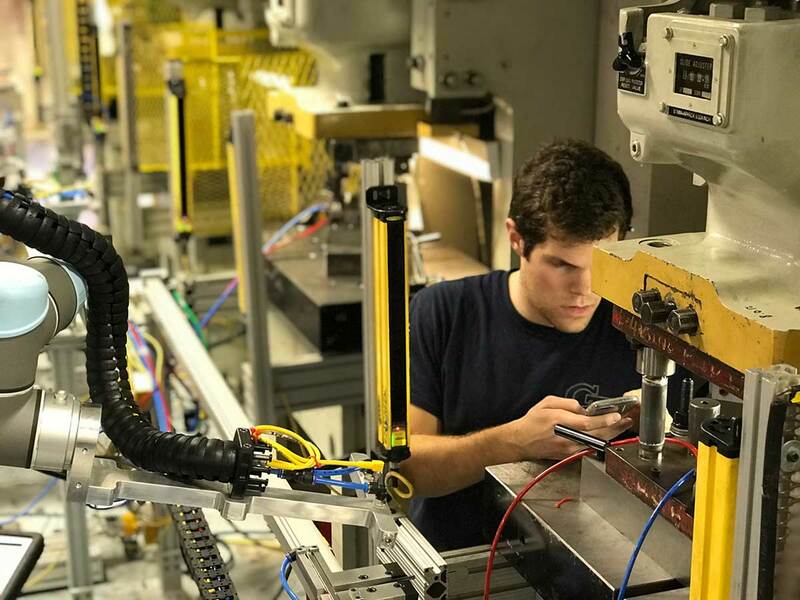 The systems are full turnkey, including the robot, tooling, and integration, so they’re accessible for any company—even if they know nothing about robotics. But Hirebotics does more. 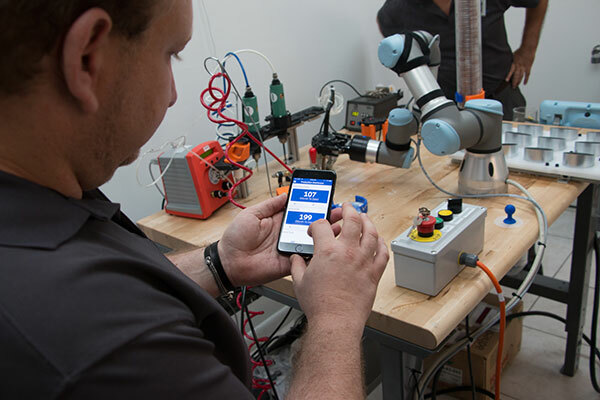 An important component of the service is the robot data that Hirebotics provides through a mobile app that can track productivity and send push notifications for example when the robot needs more parts or a tool needs to be changed. The IIoT may feel out of reach for smaller manufacturers, but it doesn’t have to be. Start-up Creating Revolutions jumped into automation and the IIoT to reduce double-digit product rejection rates to near zero while increasing production efficiency almost five-fold. Creating Revolutions worked with Hirebotics to implement a UR3 robot in the manufacture of its customer service paging device for the hospitality industry. Hirebotics makes entry affordable, even for a small company, handling all the programming, deployment, and maintenance of the robot and charging only for hours that the robot is working. Creating Revolutions is able to monitor the robot’s performance via smartphone and see real-time charts of production data for forecasting purposes, and Hirebotics is able to monitor the robot’s performance to quickly address any issues. “By gathering details on the number of units that the UR3 produces in a given period of time, we can combine all data and create realistic, very accurate forecasts of our production needs, such as how many humans are needed and what we need to focus on to produce at optimal levels,” says CEO of Creating Revolutions, Einar Rosenberg, who also has the UR3 work unassisted after hours. 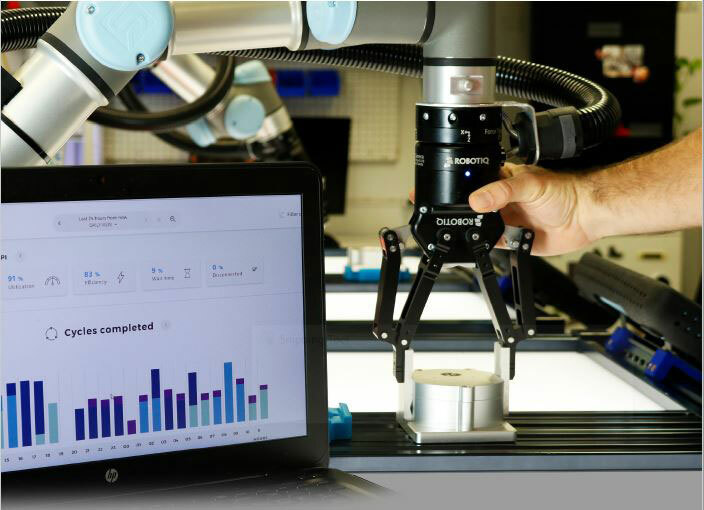 Want to know how well your cobot is performing? Download our ebook on the Top 5 Cobot KPIs and start calculating your cobot’s productivity. Because there’s no better feeling than knowing that all actually is right with the world.